Ensure a clean bathroom experience! 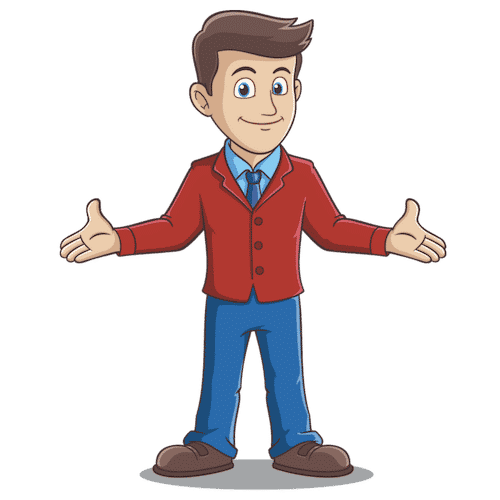 We know exactly what it is like running a business – constant pressure to please clients, grow your business, focus on marketing and improve services. Arranging sanitary disposal bin services for your bathrooms is certainly one of those things you really do not have time to think about. A sanitary bin collection service however is worth a few minute’s thought. It is a very cost effective manner to help maintain a clean and fresh bathroom experience for your customers and your staff. A clean bathroom is proven to increase staff morale – and this is a very easy way to ensure that. With a sanitary disposal bin service – everything is taken care off – from provision of the unit, maintenance and swap over for a clean and fresh unit each time. It makes life much easier for your cleaners! Whilst staff value a clean washroom – customers do just as much. Think – would you return to a cafe, restaurant or any business, if the bathrooms were not clean? Almost certainly not! You really can not risk turning away customers. We provide the Australian standard 22 litre sanitary unit size – which is suitable for nearly all bathrooms. A small office usually requires a service once every four weeks – 28 days. A cafe or busy restaurant may require more frequent services. We provide both automatic units and traditional manual units – to best suit your requirements. Our friendly and professional team will enter your premises during work hours – to swap the sanitary unit over for a new one each time. This ensures optimal cleanliness. We operate on flexible 30 day agreements – so you never need to sign a long term contract for your sanitary waste bins. Ensure the best experience for your staff and customers! Nearly every business has bathrooms for both staff and visitors / customers. Ensuring a clean and pleasant atmosphere is very important for staff morale and the impression people take away of your business. Think about how many times you have visited chain restaurants when abroad - just to use a clean and pleasant bathroom. Many customers feel the same way about a normal business. If a bathroom is untidy - it puts the cleanliness and professionalism of the entire operation in doubt. Sanitary bin services for a business are a very cost effective solution - and make life much easier for your cleaners and staff. The bin unit is completely taken care of by our experienced staff - reducing any effort needed. Sanitary bin units are a cost effective service - and have lots of benefits for any work space. We completely understand that you do not want additional costs for your business. A feminine hygiene bin service is low cost (from c. $20.00+GST a service) and small offices etc. usually only require one service per month. We provide standard 22 litre sanitary units suitable for any bathroom - in either manual or automatic options. The 22 litre unit size is the Australian standard size and is suitable for nearly all bathrooms - whether in an office or in a busy restaurant. For optimum hygiene purposes - the unit is swapped for a new one each month. Our team will swap-over your sanitary disposal bin for a fresh, clean one each service. The service is provided during your work hours - so there is no interruption to your business. Sanitary services ensure a clean and fresh washroom experience. For a minimal cost - you have one less thing to worry about - and customers always value a clean and pleasant bathroom in any business. If you already know that you need to arrange a sanitary disposal service for your business -you will be wanting to know the price and service details. We provide sanitary bin collections for businesses of all sizes – in Australian standard 22 litre bin units – in both manual and automatic models. Pricing is the same for both options. This size is convenient for nearly all washrooms. In most metro regions throughout Australia – we charge $20.00+GST per service for scheduled services (at least once every four weeks or more frequently). Once every four weeks – i.e. 28 days is a standard collection schedule for most small businesses such as offices etc. More frequent collections will likely be needed for larger offices or businesses such as busy cafes, restaurants etc. There are no other fees or charges. The service fees includes provision of the sanitary unit, collection and swap-over for a new clean bin unit each time. A sanitary bin collection service is a cost effective and convenient method to ensure you comply with all relevant employment and health and safety legislation. Evidence also shows that customers greatly value a clean and pleasant bathroom experience in any business. 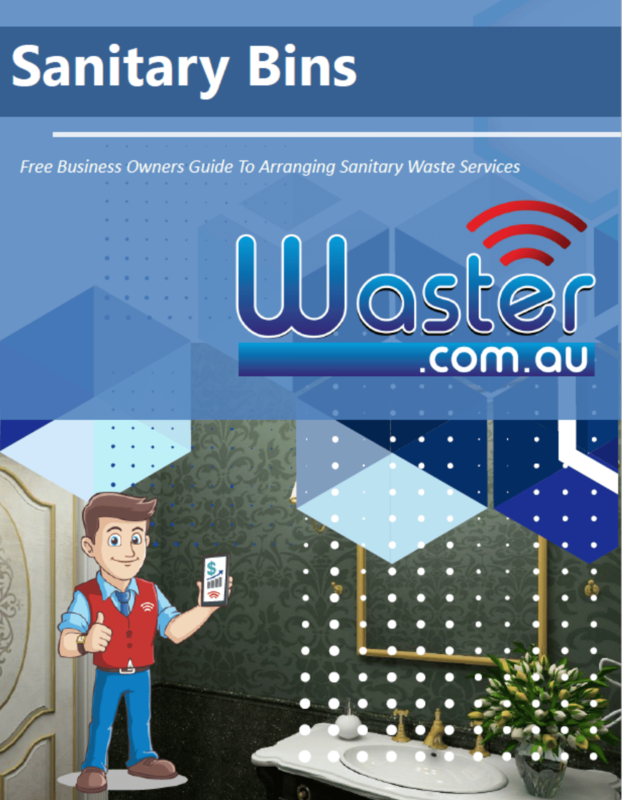 Get your free PDF download covering everything a smart business owner or manager needs to know before arranging sanitary hygiene services for your business. Learn to avoid common mistakes - and also the questions you should ask any supplier! WARNING: Before you book your feminine hygiene bin service with Waster – think do you have other waste management and recycling services with different providers that we can help you with today? Nearly every company has general waste bins (the red bin), recycling bins such as paper and cardboard or commingled recycling (yellow bin for bottles and cans). If you are a cafe or restaurant – you will likely also require grease trap cleaning or confidential paper shredding services.